Fernando Ruiz has done it again. 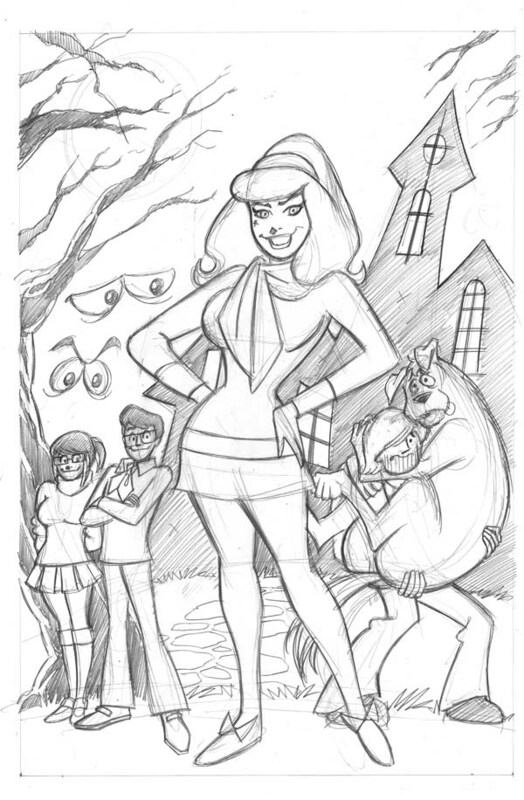 In the spirit of all things spooky, Fernando has mashed Kitty & her friends with the Scooby-Doo, Where Are You gang. And since you’re reading this and you may be a fan, check out The Retroist Video Podcast on the Scooby-Doo cartoon. Anyway, keep paying attention to our social media feeds as we will be launching the Kickstarter for Heaven & Hell very soon! You gotta see where Kitty goes next!